Messenger Bag, Backpack, Tote: What's Your Bag? With gadgets becoming ever smaller you would think we all have a lot less to carry around with us, but the opposite would seem to be the case due to all the accessories they come with that you need: Laptops, iPads, phones, digital cameras, personal wifi devices and, of course, battery backups for all these. The question remains how to lug all that stuff around town, whether it be to and from work, school or just heading to the cafe. There are really three options that have separated themselves as viable options for transporting all our stuff: messenger bags, backpacks, and totes. How do you choose which style is right for you and your needs? Let’s take a peek at each. Messenger bags have become very main steam over the last few years and are available in many different sizes. Typically there is a flap that goes over the main compartment, and your laptop is inserted into a dedicated space in a horizontal manner. Carrying your messenger bag can be accomplished in two manners: with a handle attached to the top or utilizing a strap that allows you to sling it over your shoulder with the bag resting on your hip. A messenger bag works best for the person carrying a few things and whom only needs to carry the bag a short distance, after a long period of time it becomes uncomfortable. 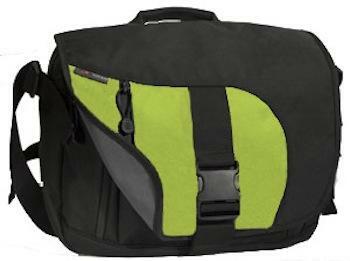 A quality messenger bag will vary in pricing, but I would plan to spend around $140 for a quality bag. Until recently I had related carrying a backpack to being in college, lugging books and other scholarly items across campus. Backpacks still work well on college campuses, but to my surprise the urban professional has taken a likening to this form factor. I have been commuting to the San Francisco Bay Area for work the last few months by train, and I have seen more professionals sporting backpacks than ever before. Backpacks give you the ability to carry a lot stuff while taking all the weight off your shoulders and transfers the load to you back. This is much more comfortable for longer commutes, especially walks from the train to the office or from class across campus. Backpacks also free up your hands making you less of a target for crime, as it is harder for thieves to grab a backpack and run than a purse style bag. Finally, backpacks let you insert your laptop in a vertical mode, which just seems easier to me. Higher end models keep your laptop off your back by having the main compartment between the laptop area and your back, which is better not only for you but you pricey laptop as well. Again, plan to drop about $120-$150 for a quality backpack with laptop protection. Totes, the smallest of the three options, are best suited for short trips while transporting a few light items. You can really only fit your laptop and a few other items in a tote. The issue with this style is that no matter how masculine the design on the side, the sheer style of the looped handles make it very hard for a male to pull off using a tote on an everyday basis. On the other hand I see many women implementing laptop totes and eliminating the need to carry a separate hand bag. 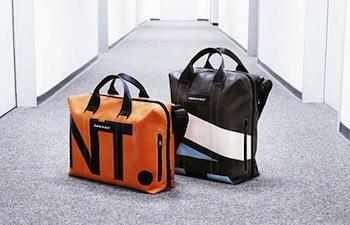 Recently some bag manufacturers have started making totes in the style of the European “carry all” in an effort to have the male persuasion adopt their use. The bag you choose to carry all your stuff should fit your lifestyle, personality and take into account how much stuff you carry and where you will bring it. While choosing a bag can be mind boggling you should take some time to decide as you will probably be using it for quite some time. 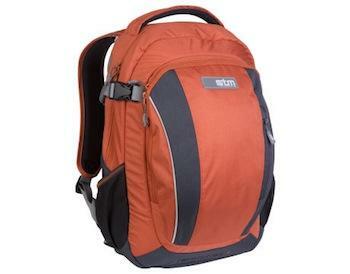 I personally use an STM Revolution backpack that holds my laptop away from my back, provides extraordinary protection to my Macbook Pro and has more than enough pockets for all the little things I carry around. My advice, check out a bunch of different styles and read as many reviews as you can to gauge what type of bag will be right for you. What kind of bag do you lug your stuff around in? What’s the feature you enjoy most or what would you change about it?